If you have ever gotten in front of a big group of people, you know how frightening it can be. While your child may happily dance around your living room, their bedroom, or at our dance studio in Airdrie for practice, when the show must go on, they may freeze. 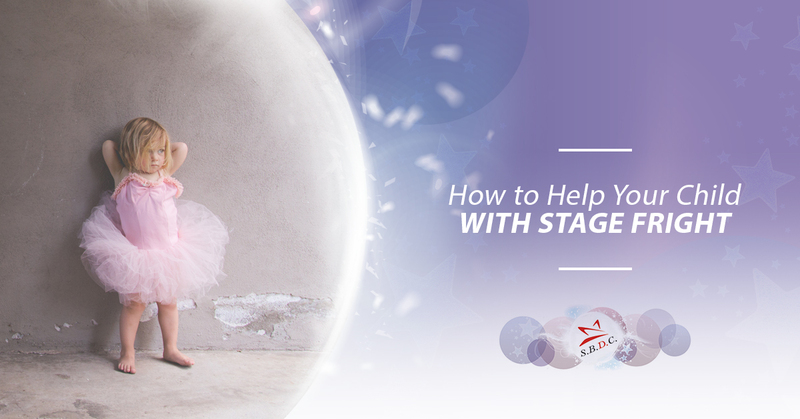 Stage fright is very common, and if your tiny dancer is expressing fear before a performance, it’s natural that you would want to help them in any way you can. Fortunately, you can help ease your child’s trepidation with the right steps before their performance. It’s important to validate your child’s feelings in this moment. Reassure them that anxiety about getting on stage is something that a lot of people go through, and they are normal for feeling this way. While validating their feelings, also encourage them to focus on the joys that come with performing. Getting on stage to show everyone how much work they put into their dance lessons should be an exciting experience, and while anxiety is normal, it’s a good idea to focus on the fun. Stage fright is a lot less overwhelming when you feel prepared. If your child is feeling anxious about dancing in front of an audience, encourage them to practice in a low stakes setting. In addition to the practice they will get in dance class, give them the opportunity to practice their performance in front of you, the rest of the family, and a small audience of stuffed animals. If they have their routine down pat, it will be a lot easier for them to feel comfortable when the real performance comes. When your child comes for dance lessons, one of the joys is the community that gathers around them. 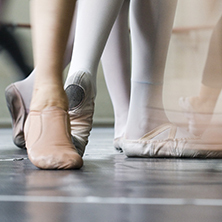 Encourage your child to connect with the other dancers who will be performing with them and to talk to each other about being nervous. This will help normalize their stage fright and add to the value of the experience, making it easier to focus on the positive. You can help your child relax by teaching some exercises to help calm their nerves before and during their performance. First, teach them about the power of visualization. Vividly imagining a successful performance, from walking into the auditorium to hearing the audience’s applause, can help calm the nerves. In addition, you can teach them to take deep breaths to ease their anxiety. Try this simple technique: breathe in for five seconds, hold your breath for five seconds, and breathe out for five seconds. At Star Bound Dance Company, we understand why your child may be experiencing stage fright, and hope to help them in any way we can. We are happy to say that our dance lessons provide your child with ample practice so that they shine when they take the stage. Contact our dance studio in Airdrie to learn more!